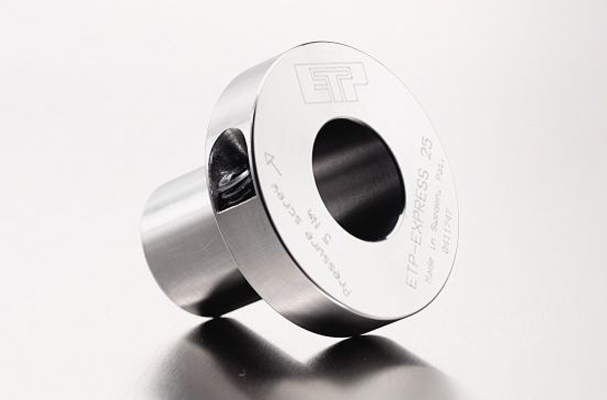 ETP-EXPRESS has only one screw for pressurising, it is therefore suitable when there is a need for the repositioning of the hub fast and accurate. 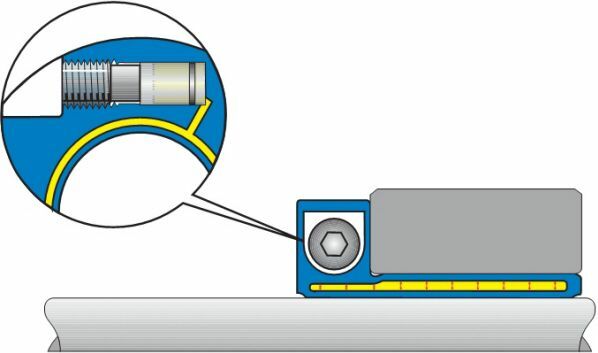 The screw is tightened in the radial direction, this means no space is used along the shaft for mounting tools. Other components can be mounted on the shaft all the way up to the flange. ETP-EXPRESS has extremely small built-in dimensions. 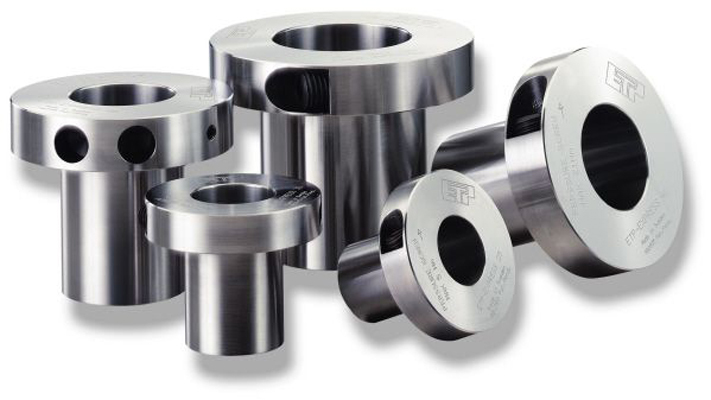 ETP-EXPRESS consists of a double-walled hardened steel sleeve filled with a pressure medium and a flange. The flange part contains a screw and piston with seals to maintain pressure. When the pressure screw is tightened the double-walled sleeve expands uniformly against shaft and hub and creates a rigid joint. Dismantling is done by loosening the screw. ETP-EXPRESS returns to its original dimensions and can easily be dismantled. Extremely fast mounting/dismantling with only ONE screw. ETP-EXPRESS has only one screw for pressurising, it is therefore suitable when there is a need for the repositioning of the hub fast and accurate!